Time for another camera field report, me thinks. 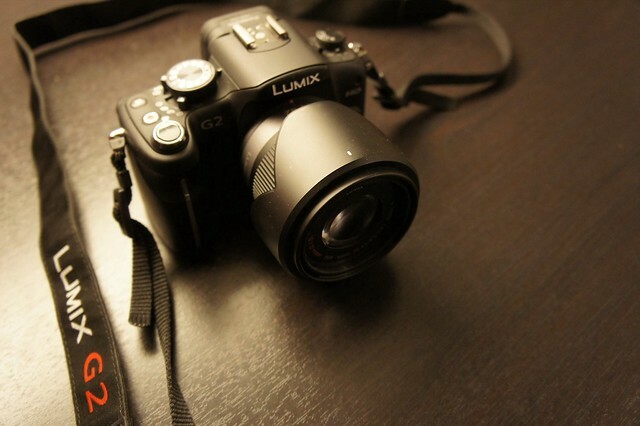 Enter the Panasonic DMC-G2, the camera I used for a few months last year and most notably on my Russia trip. 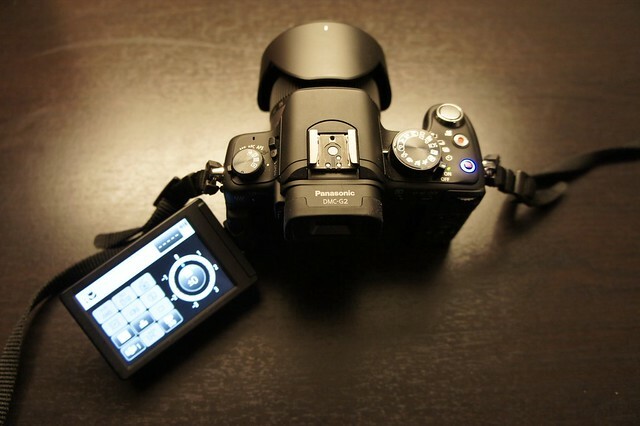 An integrated Electronic Viewfinder, plenty of fine lenses, a 3" Touchscreen (!) and HD video at 1280 x 720 with 30fps make this sound like a great midsize camera, but is it a great camera for the backpacker who likes to put some more effort into his photos? The complete camera including the 14 - 42 mm kit lens, a rechargeable battery, lanyard, SD Card and the lens hood weighs in at 638 g. That is less than half what my Canon EOS 50D weighs. It is more than the GF1 weighs. I let you judge on the weight issue, and move on to some tech and taking photos. The battery life of the G2 is fantastic. I got a solid seven days or about 550 photos out of one battery of the G2 in the autumn in Russia, which made me very happy indeed. This has much to do with the G2 having an integrated Viewfinder, my preferred way to compose photos, and it also saves a lot of energy in comparison to a digital screen. In comparison to the GF1 EVF it also has a much, much higher resolution and shows crisp images through it, much to my joy. The touchscreen on the other hand was "meh". Being an iPhone/ iPad user and knowing what is possible, the touchscreen on the G2 was a novelty but I didn't feel like getting much use out of it. I see some possibilities for this, though, in the future. Back with the pivoted screen and an overview of the top of the camera. 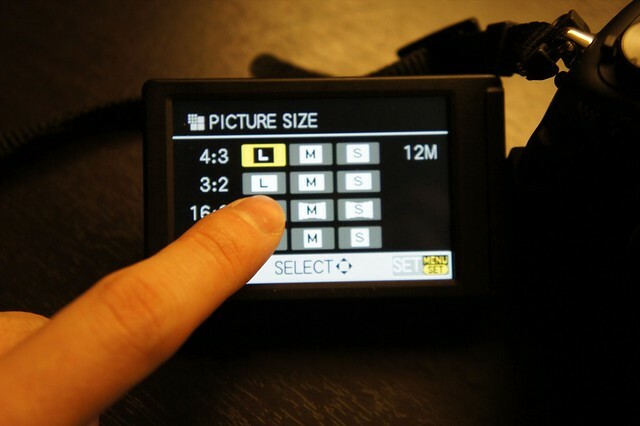 However, the G2's screen can be pivoted and opened, which allows you to hold the camera for example far over your head but still check via a down-turned screen what you're taking a photo of, or you can go very close to the ground without pressing your face in the dirt to look through the viewfinder. It generally allows for experimenting with different angles, which I like to do - you can do this also with the viewfinder, but of course will need to bend your body accordingly. Otherwise the G2 has two wheels to control settings, one on the right to choose the main settings - Aperture, Shutter Speed, Manual or some preset programmes, and if you want to quickly switch to "intelligent Auto" you just press the bottom on the top - a blue light around it means it is on. This one-press for iA is a nice feature, if you don't reach the desired result with your manual settings - the iA on Panasonic cameras is in general very good, so it is a good back-up feature to ensure you get the shot you want. Side view on the main control wheel. The wheel on the left lets you choose focus points, and a switch that encircles the base of the wheel with which you chose the focus drive mode. Back on the right side there is a separate button to start filming. The G2 has HD video capability at 1280 x 720 with 30fps and I was quite satisfied with the outcome of the videos. Which leaves us to discuss the kit lens it comes with. Personally I am a friend of wide angle lenses, so Fisheyes and Pancakes. Having used Panasonic's fabulous 20 mm Pancake lens with the GF1 I was a bit disappointed that I didn't have that lens for testing available, even though it works with the G2. Ah well, a bit of zoom wasn't too bad, to be honest, but I'm a simple guy with simple needs and hence my preference for the 20 mm lens. A look at the kit lens. Enough tech talk, lets look at some photos, this is a field report after all! Grey sky morning with the sun rising behind me = check. A grey day. Not to happy how it made the forest all dark. Scenic morning shot = check. Scenic afternoon shot in not so perfect light = slightly overexposed sky. Very early dawn shots = check. Mountain lake in sunlight = check. Good results, but I feel that some photos could have turned out better. This might be largely due to me getting the camera the night before leaving to Russia and still getting to know it while on the trail. Other reviewers seem to agree with my findings that greens turn out a bit brownish, and skies are not nearly as blue as they should be. Which isn't a problem if you shoot in RAW and go through Lightroom 3 afterwards. The JPEG crowd still will be able to live with the results, as you can see above. Speaking of the trail, on it the camera was nearly always around my neck; it is a light enough camera to be comfortably worn all day long, being right there in reach. Some bumps, rain drops, perspiration were all no problem, and being able to turn the screen inside meant it is save and is one thing less to worry about. Because this question will be asked, I will ask it simply myself: How is this camera in comparison with the GF1, GF2, Sony NEX-5, Canon EOS 50D and Panasonic TZ10? Well, I think it is very difficult to compare these cameras with the G2, as the G2 sits right in the middle between them all. My 50D makes the best photos bar none, but at 1,5 kg it is also the heaviest camera bar none in the field. The TZ10 is a great little Point-and-shoot for those who like it super-simple with great results. The GF1, GF2 and NEX-5 are all similar, but are technically a tad less powerful than the G2, who in turn is a bit heavier than those three. It is all a trade-off in what you need and value, as you can see. Do you want better technical possibilities, will carry a few lenses, and want a great EVF, go for the G2. 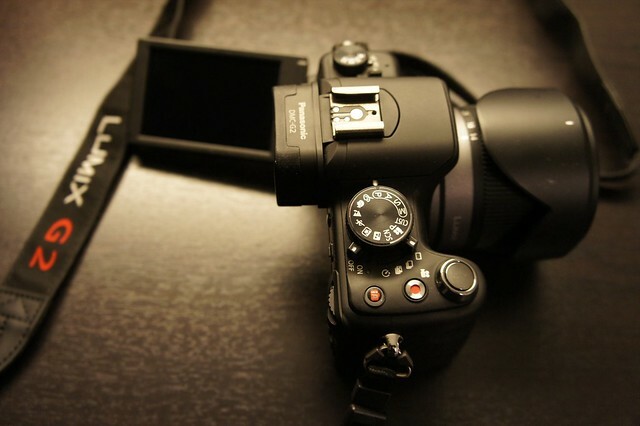 Do you want the lightest and smallest camera, go for one of the three mentioned ones. If you're in the market for a new camera, and are on the edge, then one thing which is very much in favour of the G2 is price. 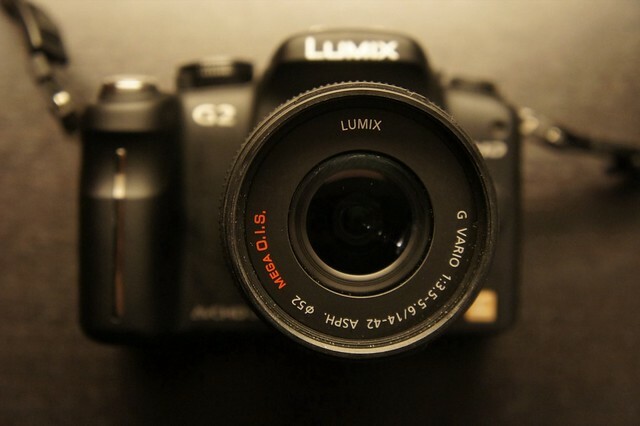 The G2 including the kit lens is currently to be had for under 500$ which is about 200$ cheaper than the GF1 or the GF2. That is a great price for this camera, as in comparison with the GF1 and GF2 it has a far superior Electronic Viewfinder included and the turnable touchscreen is also better than the screen on the other two cameras. Yes, it is a bit heavier, and is missing the 20 mm Pancake lens, but then you just saved 200$ or more - enough to get that sweet Pancake lens on top!